One week after a ceasefire came into effect, it is not yet possible to detail with any certainty the use of drones in the latest Israeli war on Gaza. As well as armed drones, Israel used F-16s, Apache helicopters, tanks and ships to launch over 1,500 strikes on Gaza during its latest eight-day war. 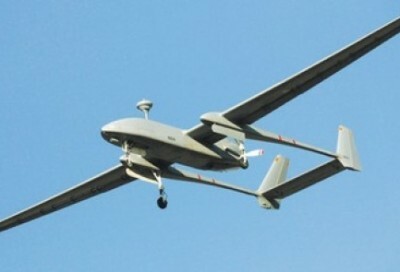 However according to one Israeli military source the use of drones during ‘Operation Pillar of Defense’ was “unprecedented“. The bombardment of Gaza opened with the targeted killing of Hamas commander Ahmed Jabari by what appeared to be an Israeli drone. Footage of the assassination of Jabari – who was reportedly involved in ongoing peace negotiations – was posted immediately to YouTube and began an on-line social-networking war. Reporters had to be very careful in Gaza as a media centre was bombed and three journalist were killed and at least nine others injured by Israeli airstrikes. The term ‘drone wars’ took on something of a new meaning during the conflict asIsraeli airstrikes targeted what was alleged to be a Palestine drone development centre and test airstrip, while Hamas said they shot down an Israeli drone. Although Israel denied they had lost a drone, footage of the drone released by Hamas was confirmed by experts as being of an Israeli dronealthough they suggested that as it was in fairly complete state it may have crashed rather than been shot down. The true cost of the war was born by the people of Gaza. While Palestinian militantscontinued to fire rockets at Israel – killing 4 civilians and 1 soldier – at least 150 Palestinians were killed and hundreds more seriously injured. According to thePalestinian Centre for Human Rights ninety of those who were killed were civilians with about 30 being children. According to the Israeli Air Force over 1,500 targets in Gaza were attacked. Hamas said that over 200 building were complete destroyed and about 8,000 others damaged with costs put in hundreds of millions of dollars. While a truce has been declared it is by no means a real or lasting peace. The occupation continues and drones will no doubt continue to fly over Gaza. We have highlighted the ‘drones connection’ between the UK and Israel previously. Both Campaign Against Arms Trade (CAAT) and War on Want say a two-way arms embargo on Israel is long overdue. As War on Want puts it “By trading in arms with Israel, the British government is giving direct support for Israel’s aggression and sending a clear message of approval for its actions.” To download resources calling for such an embargo click here and for more information about UK-Israel arms salessee here.